Emory's James Weldon Johnson Institute joins with the Center for Civil and Human Rights to host "Black Politics After Obama," featuring leading academics, activists and elected officials discussing the impact of President Barack Obama's tenure and the future of African American politics. White House photo by Pete Souza. 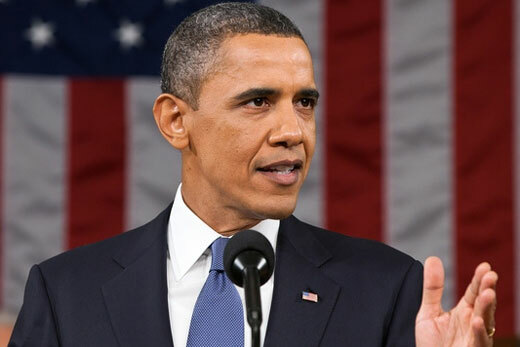 The end of Barack Obama’s term as president of the United States raises questions about the impact of his leadership and the future of African American politics, both in the wake of Obama’s presidency and in light of the election of Donald Trump. To explore these questions, the James Weldon Johnson Institute for the Study of Race and Difference (JWJI) has joined with the Center for Civil and Human Rights to host the half-day symposium “Black Politics After Obama" on Friday, Feb. 24. "We intend for 'Black Politics after Obama' to be retrospective and prospective," says Andra Gillespie, JWJI director and associate professor of political science at Emory. "The end of the Obama presidency is a good time to reflect on the successes and challenges of the Obama era and to seek to understand the impact of the Obama era on African American political organizing in the future. Such reflection is even more important in the age of Donald Trump and Black Lives Matter." The symposium will be held from 1:15 p.m. to 8:30 p.m. at the Center for Civil and Human Rights, featuring leading academics, activists and elected officials who will discuss the impact of Obama’s tenure and chart a path forward for African American voters, policymakers and elected officials. "To be sure, the Obama years marked a historic era," notes Kali-Ahset Amen, JWJI assistant director. "Among other things, his tenure energized a black electorate that had nearly lost faith in its own voting power. But what Obama’s legacy will be for the future of black political behavior remains to be seen. "Does the future lie in reform politics tied to the two-party model? Or are we pushing toward a reinvigorated Black Left seeking radical change? What kinds of alliances will emerge – or fracture – along the way?" Amen asks. "One of the things we hope this symposium can accomplish is to get people thinking about these possibilities and grappling with their real-world implications." The symposium will include a series of panel discussions. "We have convened three panels of academics, activists and officials across the political spectrum to reflect on the Obama Administration's impact on black politics and to explain their vision of black politics in the future," Gillespie says. This panel will feature leading scholars who study various aspects of race and politics. Topics will include neoliberal politics, public opinion and racial resentment, the impact of race neutral campaign strategies and black Republicans. This panel will feature the voices of black Democratic, Republican and progressive activists from metro Atlanta who will discuss partisan recruiting efforts, policy platforms and the impact of Black Lives Matter on black politics. This panel will feature Democratic and Republican elected officials who will discuss their role in black politics, including how they choose which issues to prioritize, how they interact with constituents and how they address issues of concern to black voters. All panel events are free and open to the public. Conference attendees should register online to attend one or all of the panels. Those with questions may contact the JWJI at 404-727-2926. The symposium is part of the JWJI's Public Dialogues in Race and Difference Series. It is co-sponsored by the Laney Legacy Program in Moral Leadership at Candler School of Theology.